It has static Static testing (only in Perimat) and Digital eye-tracking. 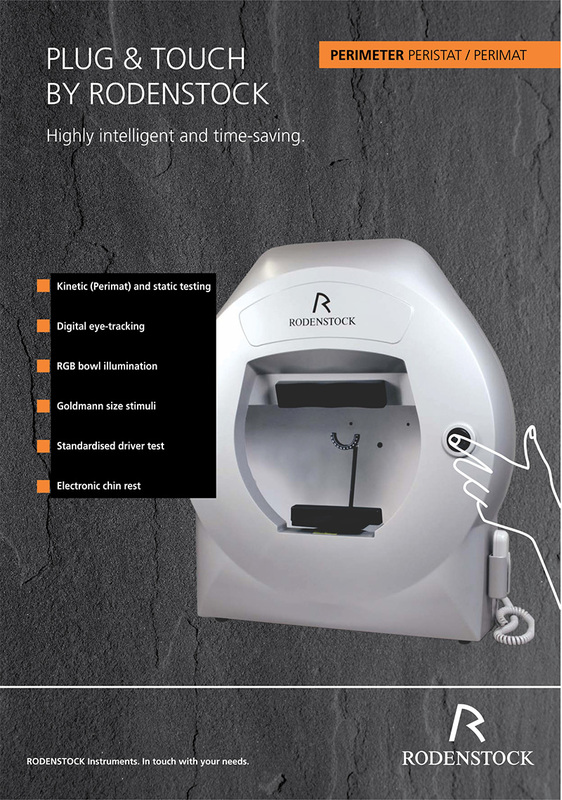 It has Goldmann size stimuli and Standardized driver test which enables electronic chin rest. It includes embedded PC (only in Perimat) and has RGB bowl illumination.